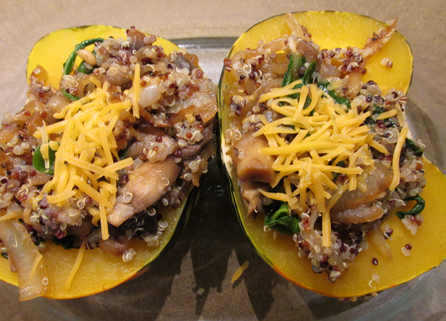 Fall is here so I thought I would make baked squash the feature for my first ever blog. 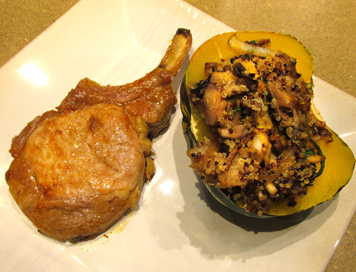 I used Carnival Squash which is a cross between Acorn and Sweet Dumpling. Cheese for sprinkling on top. I used a little cheddar as that is what I had on hand. Prepare the squash for roasting: Preheat the oven to 350°F with a rack in the lower-middle position. 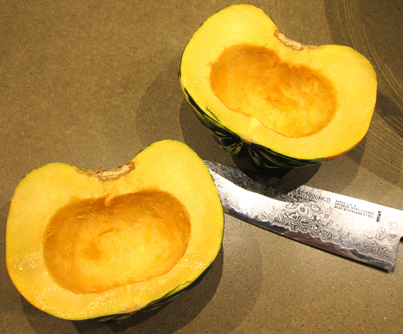 Slice the squash in half from stem to root and scoop out the seeds. 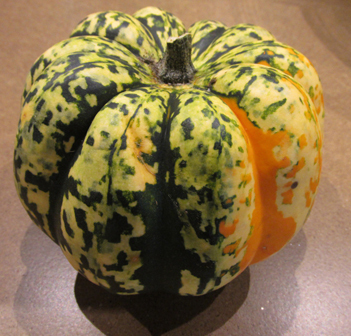 Roast the squash: Roast until very soft and tender, 30 to 50 minutes. Exact roasting time will depend on the size and variety of your squash. 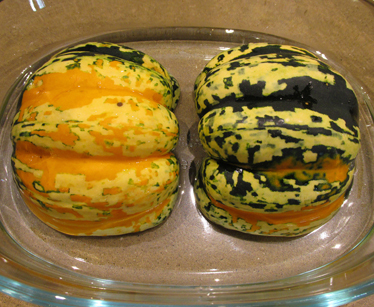 Bake the stuffed squash halves: Re-cover the pan with the foil and bake the halves for another 15 to 20 minutes. I served this as a side dish with a pork chop but it would be filling enough for a vegetarian main meal. Saute the Onions until caramelized. 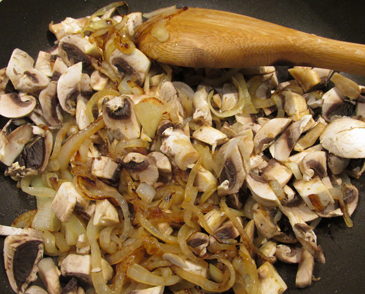 Add the mushrooms. 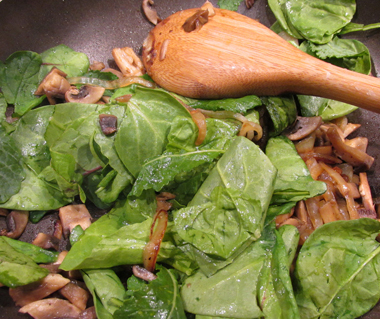 Add the Spinach/Kale and stir until wilted. Add toasted pine nuts. Sprinkle with cheese. Fill with stuffing and bake about 15-20 minutes. Woohoo! Welcome to blog world! I wish you much success!